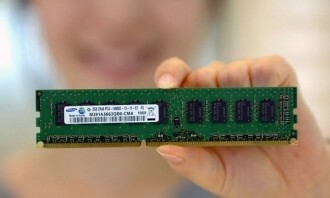 Micron has announced development of their first fully functional DDR4 DRAM module. The company has already started sending out samples to major vendors and will be applying feedback to use in a final product that is expect to ship in 2013. DDR4 is highlighted by improved power savings and increased performance over its predecessor. Modules will only need 1.2v for operation with improved parity protection and error recovery expected as well. The memory manufacturer suspects that the enterprise and micro-server markets will be the first to take full advantage of DDR4 with ultrathins and tablet makers following soon after. The initial DDR4 x8 offering is being co-developed by Nanya and uses Micron’s 30nm technology. This is the first part of an extensive portfolio of DDR4 products that is expected to include RDIMMs, LRDIMMs, 3DS, SODIMMs and UDIMMs (standard and ECC). Components in x8, x16 and x32 will additionally be available in speeds starting out at up to 2400 megatransfers per second (MT/s) and eventually moving up to JEDEC-set speeds of 3200 MT/s. DDR3 was launched in 2007 after having been in development for nearly five years. The spec got off to a slow start but popularity eventually picked up as new platforms demanded DDR3. All modern PCs have now made the shift to DDR3. Last month we reported that DDR4 wouldn’t show up in servers until early 2014 and wouldn’t reach desktops until at least 2015. The JEDEC spec is expected to be complete by mid-year and Micron plans to reach volume production in Q4 2012.